Surely, there is already a word for removing large quatities of legos from one's child's bedroom floor or from the living room rug? I'm sure I am not the first parent to spend an unreasonable amount of time doing this. But it seems there is no specific word for this. 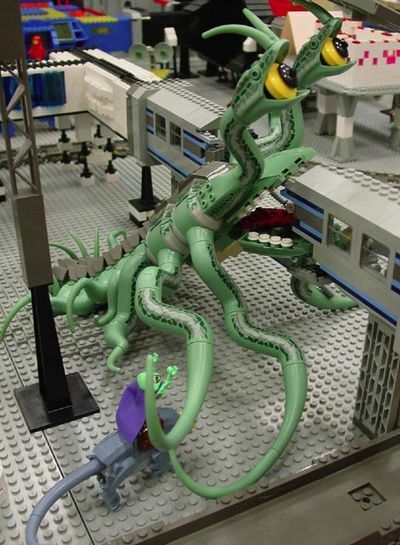 To rid [a surface] of legos. To remove legos in order to clear a path where one might walk without hurting one's feet. To become free of legos. 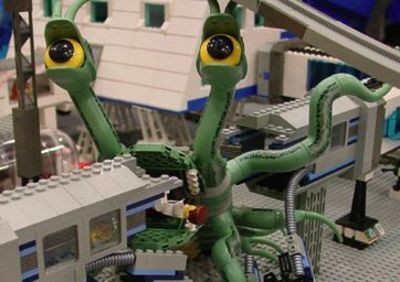 My son Peter, who likes to play with Google images, came across this cool alien monster made of LEGOs, and I have to agree that it;s cioole enough to blog. I love the eyes. One of my summer projects is to teach Peter his multiplication tables before school starts. Our exceptionally fine school district had an extremely difficult time teaching him his basic addition and subtraction facts in the first and second grade, and I have no reason to believe that they will have more success in the third grade with multiplication. Peter has David's amazing associative memory, and while associative memory is great for learning about, say, red efts, since calling to mind all the information you have about surrounding concepts such as salamanders and newts gives you context and allows you to interpolate information you don't know. But for recalling information about, say, the number seven it is a disaster (as my Google search link handily illustrates: nearly a billion results for the numeral 7; only a hundred and sixteen million for the word seven spelled out). 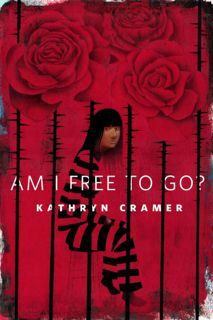 I have arrived at this formulation: Memory is something I do; memory is something that happens to David and Peter. So in order to get Peter over certain academic hurdles, I need to teach him how to work at memory. Simple recitation does not do it for numbers. The public schools have a slightly more complex technique that boils down to repetition which has failed us utterly, so far. So I have been looking for alternatives. One of the alternatives, has been assigning multiplication problems to particular places in a classically organized "memory palace" structured around the pool area and grounds of the hotel where the International Conference on the Fantastic in the Arts is held. Each memory place is a place where he found a memorable creature. (The iguana he spotted by the whirlpool is given the spot 7 X 7 and is names Fortunine to invoke 49; the place he found a favorite caterpillar is designated 8 X 8, and the caterpillar is named "Sticky Boy" to invoke 64.) This was succeeding up to a point, but lacked a structure that could be extrapolated upon. 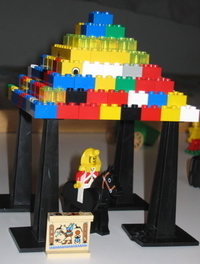 So this afternoon, I hit upon the idea of building a Great Pyramid, complete with a Lego Pharaoh, to illustrate the concept of perfect squares in a way that could be generalized to other multiplication problems, and would also allow us to deduce the existence of prime numbers. The hardest part was sorting his vast and diverse collection of Legos for the collection of 200-odd square Legos with four bumps on them. This allowed us the make the first 8 layers of the pyramid. Starting with one, I had him tell me what the product of each number was when multiplied by itself; then we collected the right number of square Legos,; then we built the next layer of the pyramid. (Because of the tightness of the fit needed for the Legos near the middle, I did the middle parts, and he did the perimeters.) Having verified that the square of each number indeed yielded a square, we moved on to rectangles; and then we demonstrated experimentally that there are some numbers of blocks that can't be made into rectangles (the example we tried was 19). Then I explained about prime numbers. I am pleased with this Lego activity, but also think that it would not have worked if I had not first helped him memorize the perfect squares using the pool-side memory palace. I was taking things he had memorized as arbitrary concepts and giving them a more conceptually based architectural structure which can be extrapolated from. PS: I must say I'm rather hardpressed to understand the intended mneumonics of the "Fact Triangles" in the Everyday Mathematics curriculum that Peter's school uses.